One of the highlights of being an author for this blog over the past 4 years has been the ability to work with so many different products for all aspects of detailing. 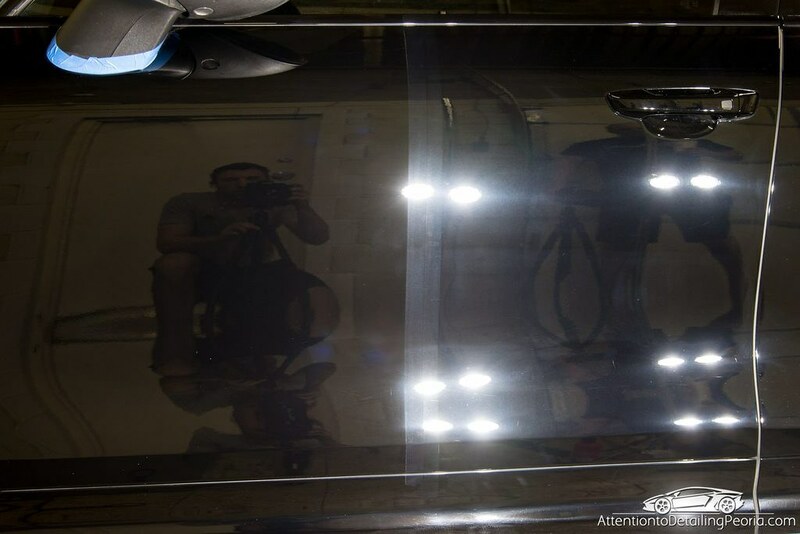 Paint correction is perhaps the most interesting and challenging part of a lot of my detailing work, so I am always eager to try a new compound, polish, pad, or machine that claims it will make my job easier, quicker, and/or produce even better results. Of all the products I have tried throughout my time as a detailing enthusiast, there are few that I can say have stood the test of time and have not been replaced by something newer, but Meguiar’s has made a long time believer out of me with some of their Mirror Glaze Professional products. My history with Meguiar’s products began with an article on this very blog published in 2009 titled Polishing How To with Meguiar’s M105 / M205. After reading this article I knew I had to get my hands on this renowned combo. I had great success with the M105, demolishing defects and maximizing shine, but it could be a bit of a chore to work with from time-to-time when it decided to dry like concrete on the paint and then required a chisel to remove the residue from the surface (Note: Please don’t take a chisel to your paint). This moderate annoyance was enough to leave me wanting more out of a compound, which ultimately led me to try M101 and M100. M101 Foam Cut Compound has proven to be the heavy hitting, fast cutting product that I have leaned on over and over to tackle some very nasty looking paint. Despite the name, M101 works excellent on microfiber and wool pads as well as foam pads. When paired with a cutting pad this stuff can plow through some serious defects, and on all but the most delicate of paints, it can finish quite nice for the level of cut provided. I often get a considerable amount of dusting with M101, though in my opinion that just comes with the territory of heavy cutting so it has never bothered me. Residue removal is no problem. M100 Pro Speed Compound is like M101’s slightly less aggressive brother. This is the compound I reach for most frequently of the Meguiar’s compound trio of M100, M101, and M105. I find M100 to be a very nice balance of cut, finish, and ease of use. The product works great on microfiber and foam cutting pads. Dusting is relatively low when compared to M101 and M105, and the residue is no fuss to wipe away. M100 is an exceptional option for major swirl removal when paired with a cutting pad and can even serve as a one-step correction option on some paints. M205 Ultra Finishing Polish has proven to be an incredibly versatile polish for me. 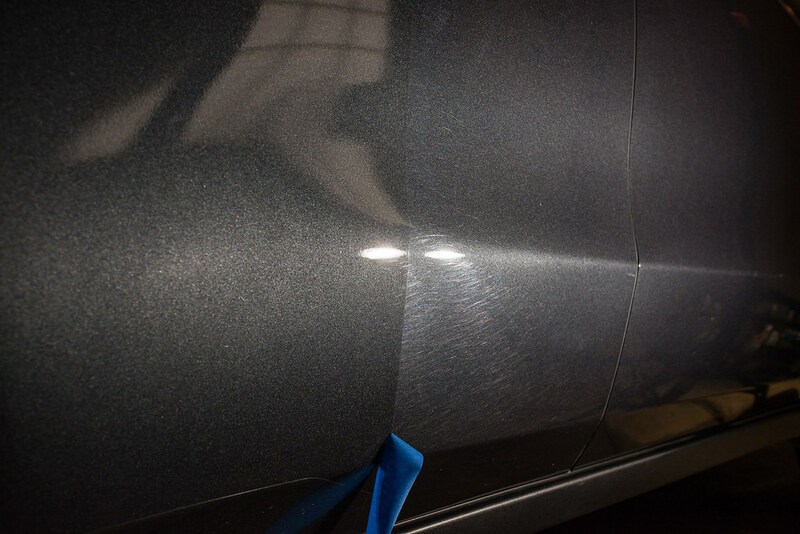 It consistently produces an excellent finish when used to clean up compounding haze, and has been a great performer at removing moderate swirl marks as a one-step correction product. I won’t spend too much time discussing its versatility as James has already gone into great depth in his previously published article. This trio (M101, M100, M205) has had a place on my shelf from the beginning of my paint correction passion, and no matter how many other compounds and polishes I try I simply have not found a reason to stop using these products from Meguiar’s. I have a handful of other “go-to” compounds and polishes that I am sure to always have on my shelf as well, and these select products combined are responsible for a huge part of my paint correction results over the years. 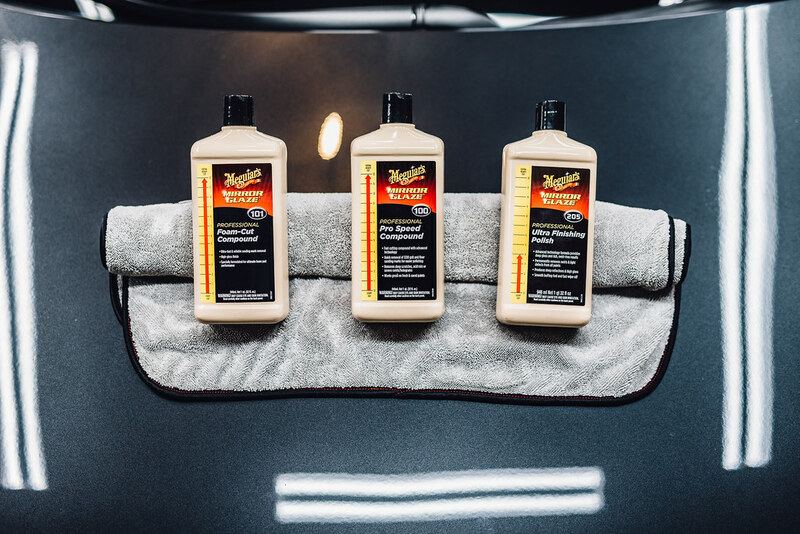 If you also love these Meguiar’s products, tell us about it in the comments below! On the flip side, if you’ve tried them and have found that you prefer something else, I’d love to hear what your go-to setup is for eliminating those pesky paint defects. What Are Some of the Go-To Polish / Pad Combos? I will swear by any of the meguiars products that I have used. I especially love m205 for any polishing needed prior applying a coating or sealant. Am I wrong to be confused, when it comes to ‘heavy cutting ‘ , and the idea of clear coat preservation? Heavy cutting is necessary when you have severe defects to remove. The idea is that once you have gotten the paint to a sufficient condition you then maintain and protect and you never have to repeat the process on that vehicle unless it’s to do spot repair. I’m sorry, I do not follow your question. Are you referring to something specifically in the article? Amazing article Zach, as always. I have one question… I’ve always wanted to try the Griot’s Fast Correcting Creme, but I bought recently M100, where would you put the Fast Correcting Creme on the list, comparing it with M101 and M100? Thanks again for all your knowledge, I really enjoy your articles. Hi Alex – Griot’s FCC is another outstanding product and also one of my go-to compounds. I have written an article on it in the past which I will link below. FCC is similar to M100’s cutting power in my tests… I’d say it has a slight advantage here. Like M100, FCC is very easy to work with and has a very manageable amount of dusting. I was never a fan of the 105/205 combo. I’ve always liked the versatility of Menzerma products or the color coded Rupes polishes. I do like Megs D300 with a microfiber pad for heavy correction or Menz FG400 with a microfiber pad. For finishing Menz 3500 on a Rupes yellow pad works wonders. If I’m coating a car I like to finish with CarPro Essence on a CarPro Gloss pad. For me everything I do is paint dependent, so I do a test spot with what I think will work before I start on a vehicle. Ive just picked up 3ds new ONE compound/polish and can’t wait to see how that works out. I’ve heard very good things about it. As detailers we always need to try new products because technology changes so rapidly and anything that saves time makes money without sacrificing results. This is the beauty of having such a diverse market. I do not care for the Menzerna products personally, but it all comes down to personal preference. Thanks for the feedback! I have used them both and agree they are very effective. However, I do dislike the residue left behind and the dust that some of the newer products seem to avoid. In my experience the Megs products are a bit oilier than some others. I’m not sure what causes that, but it makes me wonder if simply using eraser after a polish is enough to remove all of the oils left behind by Megs. 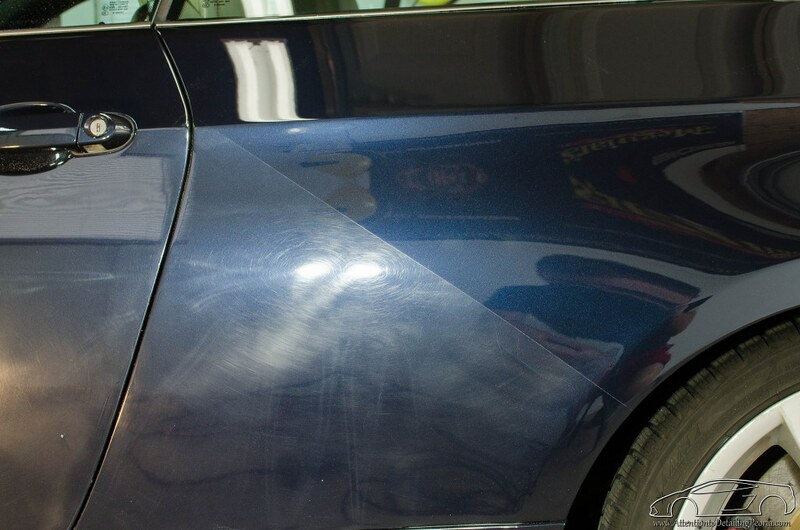 I don’t see the same oily feel or appearance after Rupes polishes or 3M. Good write up. I love M101 and M205. More-so 205 now as I’ve moved away from M101 in favor of CarPro Clear Cut. Seems to cut faster and finish out far better. Dust is still somewhat of an issue but I tend to use it with wool to blast through things and of course dust is to be expected since wool releases the product much faster. I realize this article is from last year (great write up! ), but I was curious how you would compare the newer-released M110 to M100? I keep M101/ClearCut around for my heavy lifting but M110 seems to be great. I have never used M100 to be able to compare the two in terms of cut/workability.